I had the hardest time coming up with a title for this post. Usually, something comes to me right away and that is what I go with. For these set of photos, nothing was jumping out at me so I asked myself “ What are these pictures about?”. The answer that came back to me was…the dress. 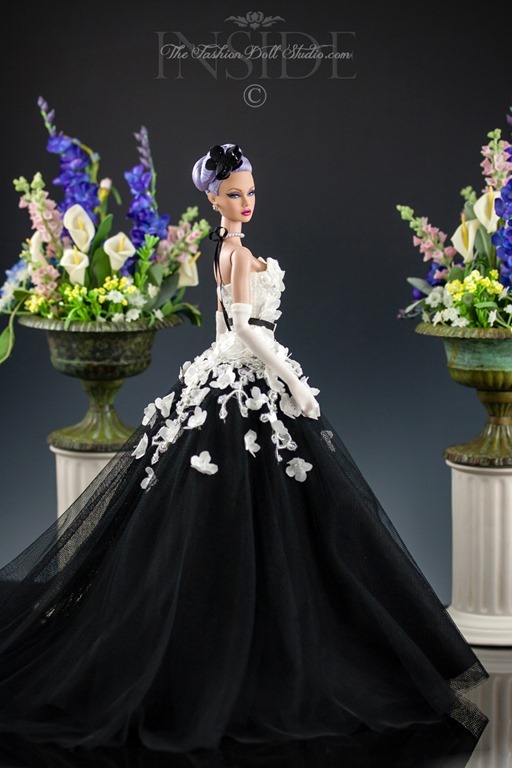 These photos are primarily about this amazing black and white ball gown made by Eifeldolldress . Easter weekend is upon us and everything is coming to life in the garden again. The trees are all blooming pink and white, the daffodils are up and the lilacs are on the way. Life is good. With this symphony of pastels booming in the yard, I had to do something in the studio to celebrate it. I had the perfect model in mind too. Recently, I sent the lavender haired Mood Changer Poppy Parker head over to Jon Copeland-Childers for a “spa” treatment and what he sent back to me had my jaw dropping. Model: Integrity Toys WClub exclusive Mood Changer Poppy Parker repainted and restyled by Jon Copeland-Childers of SeloJSpa. Poppy has been re-bodied on FR2 body. There are spa treatments and then there are Jon treatments. I stand by the Jon treatment. **Note** Before I get a gazillion questions, I have to declare here that the luggage I used is not OOAK. It is the set from the Poppy Parker Sabrina series but I have photo shopped the trim to lavender. This suit is a favorite of mine. 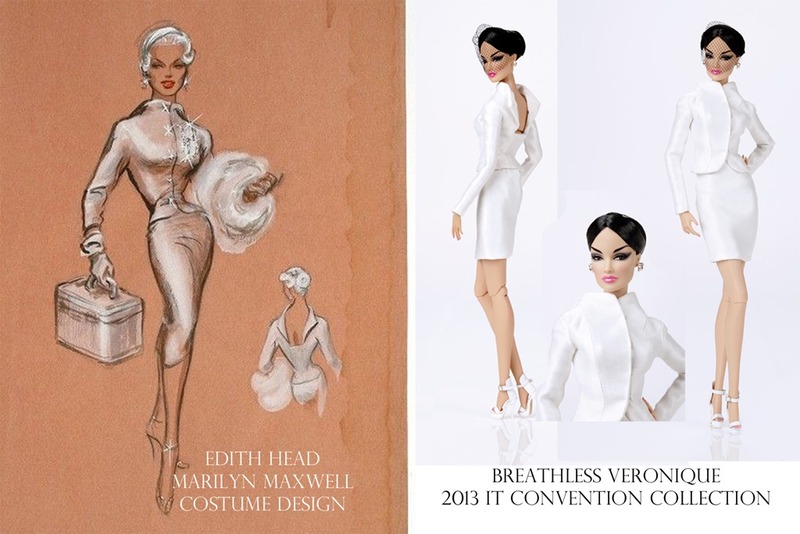 It is from the IT 2013 Premier Convention Collection. I was searching through some Edith Head sketches a couple months back and stumbled across what might have been the inspiration for this one. Poppy Parker Live from the Oscars Red Carpet! Every time the Oscars roll around, I feel compelled to do some kind of red carpet or Oscar themed shoot. I have done Barbie getting dressed in her closet. I’ve done Barbie on her way to presenting the Oscar. I’ve done Barbie on the red carpet. I have yet to do any Integrity Toys, Inc products for the Oscar night festivities. Well…I’m going to fix that right now! Poppy Parker is going to the Oscars!